When beautiful singing and skillful acting combine, a performance goes beyond talent or technique to become artistry. Stage presence and interpretation are essential to the art of singing, integrating the meaning in the text of a song with a musical performance. Singers must communicate honestly what a song is saying. The best artists have this skill - the ability to touch, move and inspire their audience. Successful singers connect with and involve an audience. Today's conductors, agents and stage directors hire singers based on total presentation, not just vocal ability. Enhance your vocal performance and gain confidence — the edge in getting cast! Make the transition from the studio to performing confidently onstage. Learn acting techniques specifically designed for Singers! Before auditioning or performing, prepare your role or song's dramatic content. We also focus on audition material selection and preparation or in-depth work on specific roles. NOTE: This work is not vocal instruction. This acting approach works in concert with good vocal technique. 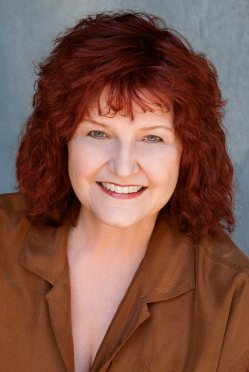 Shelley is an accomplished singer/actor with over 25 years performing experience in the San Francisco Bay Area. She has performed numerous leading and character roles onstage in musical theatre and operetta, as well as working with many Bay Area theatre companies in a wide variety of non-singing acting roles. Shelley is also a stage director and teaches an acting approach tailored specifically for singers. Audition workshops have been sponsored by NATS ( National Association of Teachers of Singing) , Theatre Bay Area, Lamplighters Music Theatre, SummerSong, and Broadway by the Bay - as well as San Jose Lyric Theatre and Hillbarn theatre companies. She has conducted workshops for local community colleges and collaborated with voice teachers in group master classes: coaching singers on role preparation, text analysis, stage presence, communication with an audience and the craft of auditioning.